Quality built and designed to perform, your Celebrity Hot Tub® will play a leading role in your life, encore after encore. Relax with the soothing sounds of a sparkling, backlit waterfall. Listen to your favorite tunes on the optional Motown™ audio system that’s Bluetooth enabled. Experience the awe of optional Theatre™ LED lighting as it turns your environment into a virtual underwater aurora borealis. 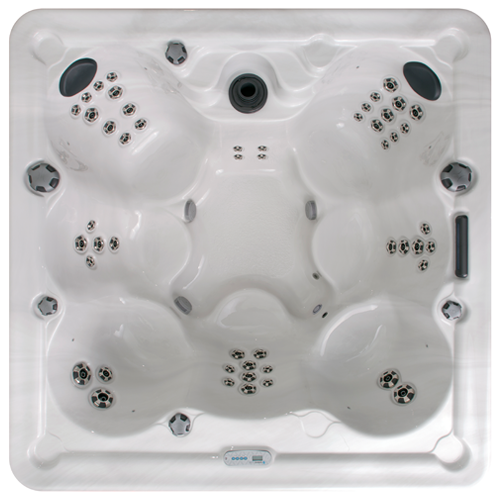 The Vegas hot tub’s unique seating positions provide comfort for seven people and include two deep therapy seats, two side seats, one mid-level seat, a cool down/entry step and a super deep soak seat to get you submerged in hydrotherapy. You'll feel like you just won a Tony Award when you slip into your Broadway hot tub! The creative seating arrangement features a wraparound seat for two, a super deep Director's Chair with fantastic leg therapy, another deep seat for total back therapy and two more seats at varying heights. Everyone in the house will enjoy the performance. Plus its plug-n-play system is a great convenience. A soothing waterfall adds to the ambiance. Add the Motown audio system with MP3 dock and you can soak the night away like a true rock star. 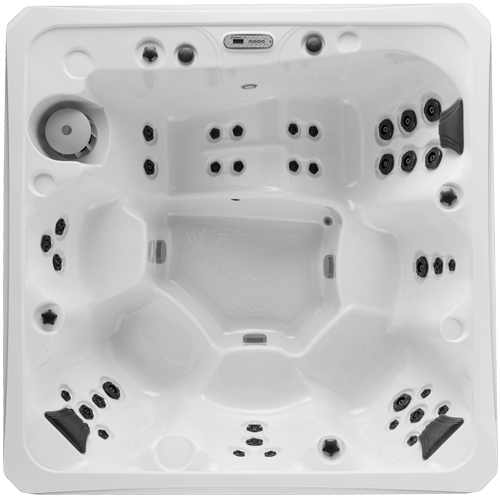 The Nashville is the perfect personal hot tub for you and a companion. Lay back and relax in the lounge or chat up your partner in the therapy seat next to you. The cool-down seat provides a third spot to linger. The Nashville’s 120V plug-in convenience is ultimately carefree. When it comes to two person hot tubs, it is Southern comfort at its best.